Construction started on Cherry Street Lakefilling in winter 2017 and will be completed by March 2020. This project is one of many pieces that make up the Port Lands Flood Protection Project. Lakefilling will create new land around Essroc Quay and stabilize the aging dock walls so that they don’t collapse in the event of surging water. 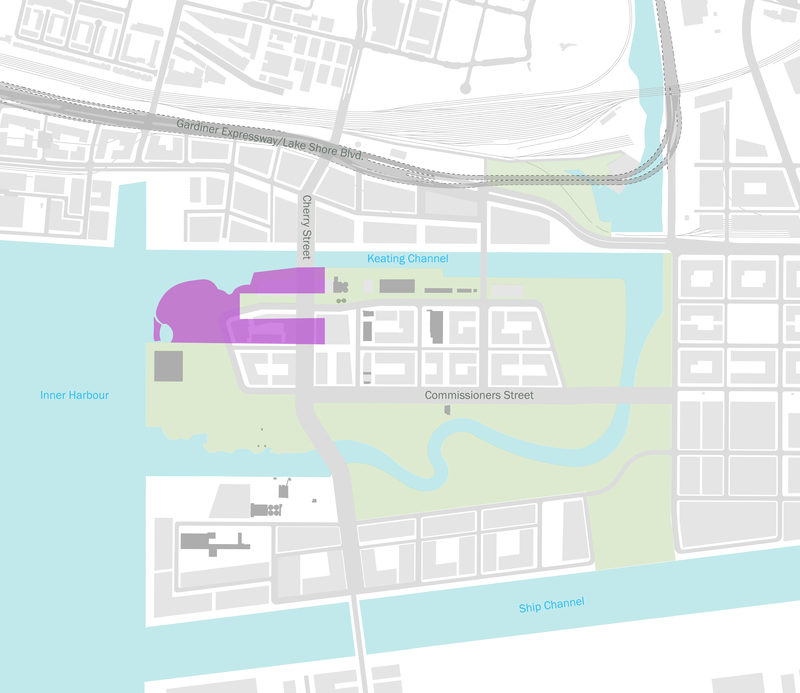 The project area for Cherry Street Stormwater and Lakeflling is shown in purple. This work will also make it possible to realign Cherry Street and build a new, higher bridge over the Keating Channel. Right now, the Cherry Street Bridge creates a narrow point in the channel. In the event of a major storm the channel will likely get overwhelmed and flood. Realigning Cherry Street and rebuilding the Cherry Street Bridge will help stormwater flow more easily through the Keating Channel. As part of this project, we will also build wetlands, aquatic habitat and natural coastline features. To increase the aquatic diversity in the area, we are establishing a habitat where fish like to live by growing plants they like to eat. The land we’re creating is an important part of the overall project. It will also form the foundation for the future Promontory Park.